Let’s face it, cars with tinted windows look cool. And when you are out in the desert, cars with tinted windows can be much cooler than other cars. But there are some things that you’ll need to look into before you get the best car window tint for your car. The main thing you’ll want to look into when considering adding window film is should you do it or should you take your car in to have a professional do it. With either answer, there will be more questions, like how dark, reflective or not and so on. Going the professional route can help answer some questions, but there is a cost that will come with it. On the other hand, going on your own can save you some currency and there are sources, such as this very article, that can help you answer some of the other questions you might ask. We’ll highlight a few of our top choices and then go over our car window tint film buyer’s guide (including installation tips) to help you make the best car tint selection for your needs. We’ll start off by highlighting the some of the best offerings that we’ve come across. We’ve flagged our choice for the best product with the best product flag. The best value flag is the set up that looked to us to give you the best option while still saving you some money. For contender for the best car tint, we’ll give you all the important details as well as any downsides that stood out to us. Of course, after that, it will be up to you to make a choice that best suits your particular needs, based on your set up, location and goals. 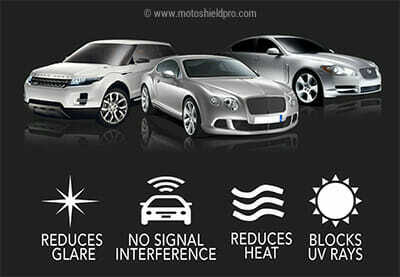 Perhaps the best product that we’ve come across is the Motoshield Pro Nano Ceramic Tint Film. This one is a bit pricey, since it is a ceramic film, but it preforms so well that it earns its price tag. This particular roll has a VLT of 35% and it is rated with a glare reduction of 55 and a shade coefficient of 0.53. In addition to that, it blocks 99% of both IR and UV light passing through your car’s windows which means that it will help to keep your car cool in the summer months and you’ll tax your air conditioner a lot less while it is sweltering out. The roll is 40” x 100’ (other sizes also available) so a single roll should cover all that you need for your car. It is also set up that you can apply it to other areas, such as windows, sliding glass doors or anywhere that you might want a little bit of tinting and some blocking of solar heating. 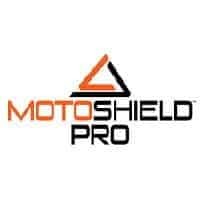 With all of that high performance in mind, it is easy to see why this offering from Motoshield Pro is our pick for the best product. If you are looking for a quality product that won’t break that bank you’ll want to consider the Lexen Computer Pre-Cut Complete Tint Kit. Since this option is pre-cut, you’ll want to need to provide the specific year, make and model of your vehicle. With this information, they will be able to send you a set of films that has been cut right to the sizes of your ride’s windows. This means you won’t need to guess on if you have ordered enough rolls of materials or get half way through cutting out your last set of film to release that you had it lined up wrong when measuring. You also get the pick of how much tint you want. You can choose form 50%, 35%, 15% or 5% (Limo). But of course, you are responsible for making sure that you select one that is legal for you to apply in your areas, so double check that you have your numbers right before ordering. But for a good quality set of films that saves you a number of steps in tinting your windows, you can see why this is our pick for the best value. If you are looking for a window tinting that will block up to 99% of the UV light, you’ll want to consider the Black Magic Tint Film Premium. 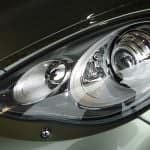 Some people consider the metalized film a better option than the dyed film as they find that it tends to block more of the UV light and result in a cooler car cabin for you and your occupants. The company claims that this roll of window tint film is both scratch and fade resistant so that properly applied it should serve you well for years to come. The roll is 2×6.5 feet, so you’ll need to determine how many you’ll need to order to complete your project. They offer a 20% VLT film, a 35% VLT film and a 5% VLT film and so it is easy to get one darkness for your front windows and another for your back, as allowed in your local area. In addition to just the film, the kit comes with a squeegee, application solution, knife, low-lint cloth and a CD containing instructions. The Gila Heat Shield Plus Automotive Window Tint is another great option for the do it yourself that really wants a custom job. This particular 35% VLT roll is 24 inches by 6.5 feet, so you will most likely require more than one in order to do an entire car, but they have a number of choices to help you out. The company does offer rear window kits as well, since trying to use a single rectangular piece on a curved rear window can be a difficult proposition. One of the things that Gila prides themselves on is that this window tint film is an adhesive backed option, which can be as much as seven times thinner than other films that rely on static cling to stay to attached to the glass. And during installation, you still have up to 48 hours to make minor corrections before the film is fully bonded to the glass. There are some issues with not getting the corners lined up properly and them not fully bonding which could be an irritation. If you’ve ever wondered about car window tinting, we’ll answer some of the most asked questions. For starters, it is accomplished by applying a film to the inside of the window. This film will block a certain percentage of light from coming through the window. Some places will refer to the amount of light blocked by the film. However, most will report the Visible Light Transmission percent (VLT %). This is a measure of the amount of visible light allowed through the tinting. In addition to blocking the light that is passing through your windows, there are some other options available to the driving looking for the best car window tint. In some areas you can have your car windows tint add a reflective quality and in other places you can select different colors to help your ride stand out from the crowd. There are two major reasons why someone might add a window tint to their car. The first is that they are looking to cool off the inside of their vehicle. The estimates are that a good quality window tint can block as much as 99% of the UV light from entering through your car’s windows. This can translate into your car being as much as 60% cooler after sitting in the sun all day. While this might not drive many in the north east during winter to want tinted windows, it is a major excuse for those that live in a desert. The second main reason is for privacy. Simply put tinted windows mean that it is harder for those outside to see what is going on in your car. There are any number of reasons that you might want the upped privacy, but those are really your own concern. There are a number of different types of window tinting film, each has their own perks and perhaps drawbacks. We’ll cover some of the most popular here. Perhaps the most popular option on the market today is a dyed film. 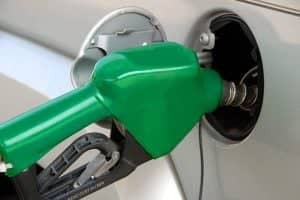 The biggest boost it gets is that it is the least expensive option out there. It is generally a three ply system, with an adhesive layer, a dye layer and then a protective surface. You’ll find that this is the least durable type of tinting film, but you can expect to get a number of years of service out of this option. This system will block UV light which will make your car feel cooler, but it won’t reflect any of the outside light off your car. And when compared to other options, the dyed film tends to look the darkest. A major perk of going this route is that since there is no metal involved you don’t have to worry about electronics like your mobile phone or GPS being blocked while in your car. This type of window tint is somewhat similar to the dyed film, it is made of an adhesive layer, a UV blocking layer, a metallic layer and then a protective layer. As you can guess more layers means a higher price tag. Also, since there is metal involved it has the possibility to interfere with your electronic gadgets while you are inside your car. If a metalized film is applied properly it can last the life of your vehicle. It will also end up giving a reflective look that can be quite different than a similar VLT % of just a dyed film. It also does a fantastic job at keeping your cabin cool by blocking UV light. There have been some companies that have looked to combine both the metallic film and dyed film window tints to give the best of both worlds. This means you get a tint that blocks more UV light than a dyed film, though not quite as much as a metallic film. It also tends to look darker than the metalized option while not as reflective. The price tends to fall in between the two and it doesn’t cause the same level of interference as a metalized film does. This is possibly the newest option on the market. It ends up blocking out the UV light and heat, but it can do it without the interference of a metalized film. With the price of this kind of tint you will want to make sure that you know what you are doing, as any mistakes can be rather costly. Carbon film is an option that tends to fall fairly in the center of everything. While it does everything alright and doesn’t have any of the major drawbacks of other types of film, there is no real standout area that this style of film shines. It is often over looked for not being the best in any area or the cheapest option on the market. As we’ve mentioned a good window tint can block up to 99% of the UV light that comes through a car’s window. Now, most windshields will end up blocking the UV light as they are, but the side windows tend not to block much if any. The amount of UV light blocked will definitely have a big impact on how warm your car gets. Applying window tints can improve the appearance of your car, but you should also think about improving its performance and sound. 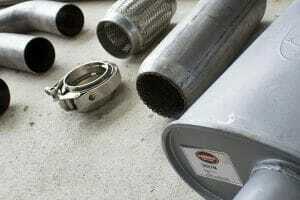 You can achieve it easily using the best sounding mufflers or blow off valves. But, UV light can also damage various materials. Plastics, in particular, don’t do very well when they are left out in the sun’s UV rays. Adding a window tint that blocks these particular rays can end up protecting not only the things in your car, but often mean that your car itself will fair better as the console, steering wheel and the like will be protected from the harsh rays. There are any number of other choices that you will come across. You’ll have to decide if you want to go with a precut piece or a sheet of material. The precut piece will come cut to the size of your car’s window, but may still need to be pre-shrunk and trimmed. A whole sheet of the material means that you’ll be cutting from a large rectangle the pieces that you need. You’ll find that pre-cut pieces come in both short and long. The short will just go down to the rubber gasket on your window. They will be a lot easier to put on, but rolling down your window may end up peeling the film off. Long cut pieces go under that gasket. These will take a lot more work to get installed properly, but in the long run that work will pay off as you won’t have to worry about the film coming down from rolling down your window. Are Car Window Tints Legal at All? This is a good question, actually. Every state has different laws stating how much windows can be tinted in a road-legal vehicle.There are states like Pennsylvania where you have to let as much as 70% of the light through the (front) windows wheres states like New Mexico are far more generous in that aspect, allowing the front side windows to be tinted to only let 20% of the light in. In other states, you’re not allowed by law to tint the front windows. To make it easier for you to navigate in all of these restrictions and allowances, we published a seperate post on car window tint percentages across all 50 US States. It generally helps to have an idea of some of the best companies in the market when you are looking at making a selection. We’ve highlighted some of the top companies that you might want to consider when it comes time to make your selection. While this isn’t a complete list of all the most popular brands, it is some of the standouts. 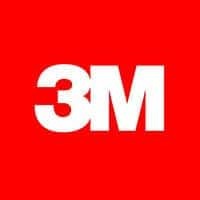 3M is a fairly major company that seems to make a little bit of everything these days. It is no big surprise that they have gotten into the window tint business, especially since they make tints for both the car and the home. Many people look at them as the gold standard for their tinting films, but they tend to be on the more expensive side, partly because the company name is so widely known. Motoshield Pro is another California based company that is looking to provide some of the best window tinting films and other automotive products for the do it yourselfer as well as the professionals. They strive to provide the same quality of product as some of the other big names, but do so while saving the customer money. Solar Gard is a company that is set on making state of the art window tinting solutions. 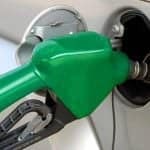 This includes options for your car, your house or even your business. 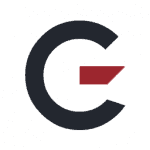 They are based out of San Diego and are currently selling products in over 90 countries. In addition to making a good product, they are also striving to be an environmentally friendly company. When you have made the decision to get the best car window tint, you’ll need to decide if you are going to Do It Yourself or if you are going to have someone else take on the challenge for you. In the end, there are really three major choices that you have, do it yourself, go to the dealership or go to a third party set up. The dealer and the third party are in many respects the same in that you are going to be charged for both the tinting film and the labor. Going in on your own can save money on labor, but will definitely take more of your time to complete. First, let’s look at going with an installation service. If you are looking at what the window tint will cost you to order, remember that it will probably be that much or more just for the materials themselves. You’ll then need to consider the labor rate of the service you go with. It is true that some dealers can charge around $500 for just the labor, there are better deals out there. Many shops will charge a set rate per car, with increases for a better quality tint film or a larger car. For example, a standard sedan may very well run you between $100 and $150 for the basic dyed film. If you were to have a van or an SUV that might bump up to the neighborhood of $120 to $400, depending on the size of the vehicle. 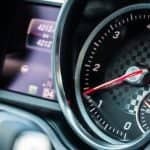 If you are looking at getting something like a ceramic film for your entire car you can quickly find your cost climbing up to the $800 range. This is something that you’ll really want to get a number of estimates for before going with any one shop. On the other hand, you can do it yourself. There are plenty of window tinting kits that can be purchased for under $100, but there might be other costs that you’ll need to factor in. 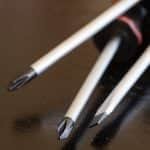 For example, you are going to need an application solution, one of those lint free cloths, a squeegee, a razor blade or similar cutting tool, a scraper blade and probably a heat gun. Some of those can be found in a package like the Gila Window Film Complete Application Kit, others might have to be purchased separately. The first thing that you are going to need to do is to is prepare your windows. You’ll want to find a dust-free area, normally a garage will work well. It is important to not do your application on a particularly hot or cold day, and it is best to go with a day that isn’t overly high in the humidity department. You’ll start by spraying cleaning solution on the inside of the window, you’ll want to be careful not to get any on the trim. Using your squeegee and do your best to make sure that the window is as clean as you can get it. Next, you’ll want to repeat this on the outside of the window. Take special care to clean the rubber window gasket as well. You may need to use a razor blade to remove gunk like tree sap from your window. You’ll then want to spray the applicator spray on the outside of the window and trim it to size. This spray will help to keep the film in place, but allow you to move it as required. Prior to trimming it is important to make sure that you work all the bubbles out of the film. You’ll want to make sure you leave enough film at the bottom of the window to go under the rubber gasket when you install it. You’ll now want to peel the protective liner off the film. You need to be very careful handling the film at this point. You will need to stick the film onto the inside of the window, evenly being sure not to get any bubbles as you apply it. Applying window tint -DIY guide. Tint Films – How Much Do They Cost and Where to Buy? As we mentioned above when looking at the cost for these window tint films and kits you have two main ways to go. You can either install it yourself, where you’ll be looking at just paying for the materials and providing your time or you can go for the professional installation, in which you’ll end up paying for the materials, someone else’s time and labor and still not be able to use your car during the process. If you’ve opted to save the money and just go with doing the installation yourself there is still quite a range of cost, based on the style of window film that you pick to do your tinting. The range for a roll of material can go from just about $10 on the low end to well over $250 and sometimes even more on the higher end. You’ll need to remember, that this could just be for the material and you might still need a few other tools to do the installation. And of course, you’ll need to find a good place to get the material. The fact of the matter is that this isn’t something that is always carried in brick and mortar stores. Even in those automotive stores, there is no way to be sure that they will have any in stock, let alone the one that you end up deciding will work best for you, clearly the internet is the answer here. You’ll want to find a store that offers a good selection, fair prices and decent shipping options. This means that instead of ordering directly from the manufacturer it is often better to order from a retailer like Amazon.com. If done properly window tinting is something that you can accomplish at home and save some money. You’ll want to keep in mind though, that things can go wrong in a variety of different ways. If the window tinting isn’t applied properly it can come off while you are driving, which has the potential to cause a number of issues. Additionally, if you aren’t careful when you are planning your window tinting you can end up running afoul of the law. That can cause quite the number of issues which are all better avoided. 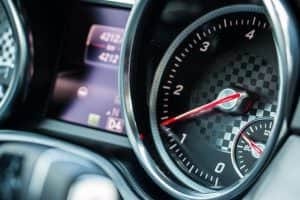 This might not be the best thing for a new automotive enthusiast to take on, but if you feel you are up to it, it can be very rewarding. And with that, you should know all that you need to pick out the best window tint for your particular needs. We started off covering the best products on the market and found that the Motoshield Pro Nano Ceranic Tint Film was the overall best. In our eyes, the Lexen Computer Pre-Cut Complete Tint Kit is the way to go if you are looking to stick to a strict budget. In the end though, you are the only one that can determine the right option for your particular needs. After that we went into the GarageChief‘s window tint buyer’s guide. Here we covered a good chunk of the information that you will need to keep on your mind when you are considering the right option for you. While we have covered a good deal of important information, you’ll want to make sure that you look into the laws of your local area to ensure your choice won’t get you in trouble. Finally, we’d love to hear from you. Have you used any of the products that we’ve gone over above? If so, we’d love to hear from you in the comment section below. 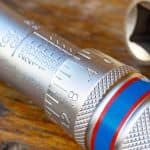 What are the best spark plugs for your vehicle’s performance?